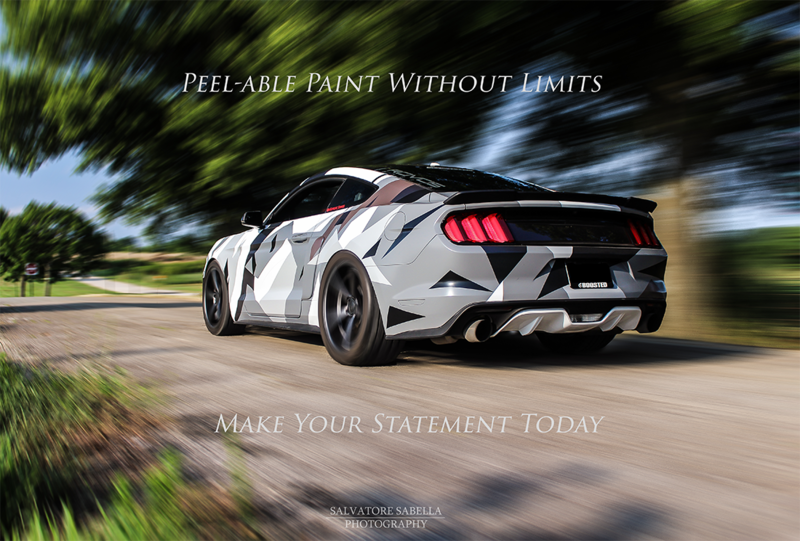 Halo EFX's reversible polymer coating offers a smooth yet tough exterior shell-like finish combining the latest advancements found in modern sealants and adhesives. You can completely change the look and feel of your vehicle, while also protecting the factory OEM finish. Halo EFX has a vinyl like look and feel that is smooth to the touch for enhanced mar resistance and durability. In addition to these attributes, Halo EFX comes in an assortment of primary colors and clear. Halo EFX Real Clear is a great solution for mixing flakes, pearls and compatible pigment systems increasing the available color pallet to an almost limitless amount of variety and complexity. 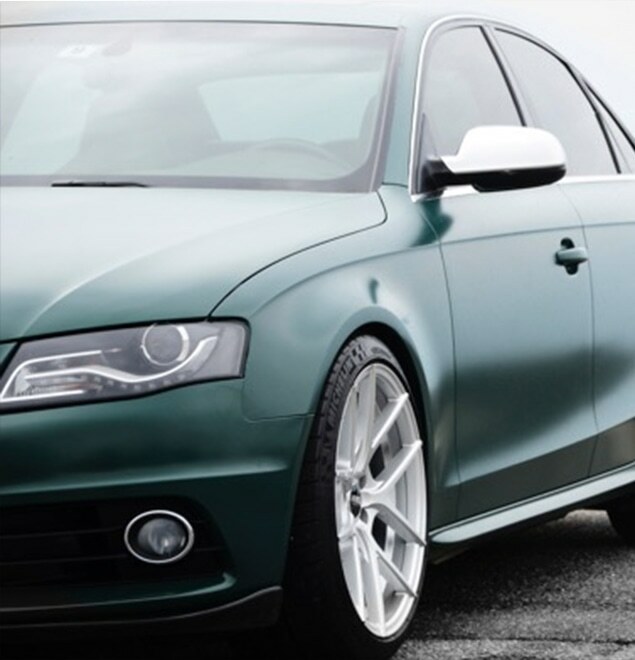 Countless OEM factory finishes have been enhanced using Halo EFX with great success. 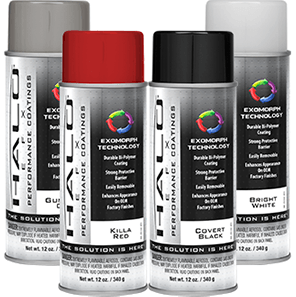 Because of the film’s versatility, both the novice and professional alike can spray Halo EFX through a variety of HVLP/RP based-paint systems. Halo EFX is impervious to moisture, salts, acids and bases, thus offering an array of protection in the harshest driving environments. Halo EFX is quickly becoming a household name, as the solution has been sold into numerous countries around the globe. Installer and consumer satisfaction is high, resulting in a quickly expanding market share both in the States and abroad. Halo EFX can be found internationally in Europe, Japan, Chile, Australia and the Middle East. Please see Distributors to inquire about product availability in your region. Installed correctly, Halo EFX is impervious to moisture, salts, acids and bases, thus offering an array of protection in the harshest driving environments. Halo EFX can be used in a variety of other applications where protection from the elements is a must, such as track days for personal sports cars, off-road, and industrial applications. Halo EFX base gallons are a great solution for the Professional and DIY applicator. The flexibility and durability of this solution is unmatched, with a proven track record of superior performance. Halo EFX is undoubtedly a favorite among professional installers. 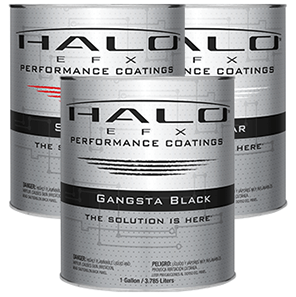 Halo EFX True Gloss is quantum leap in the reversible coating's industry. The interest and demand for True Gloss is growing rapidly as several distribution partners around the globe have acquired this new and exciting technology. 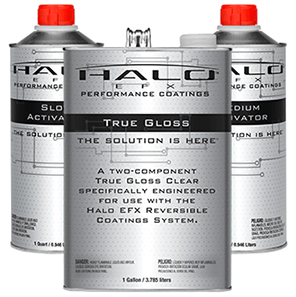 Professionals the world over will benefit from Halo EFX True Gloss. Halo EFX Aerosols are the perfect solution for small projects. This new technology was an instant success, landing in Europe, Chile and Australia. 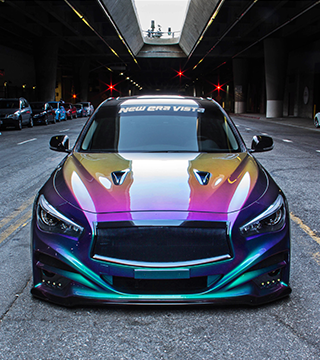 Domestically, Liquid Auto Skin Technologies will be offering Custom Fill aerosol cans with infinite color and pearl choices!